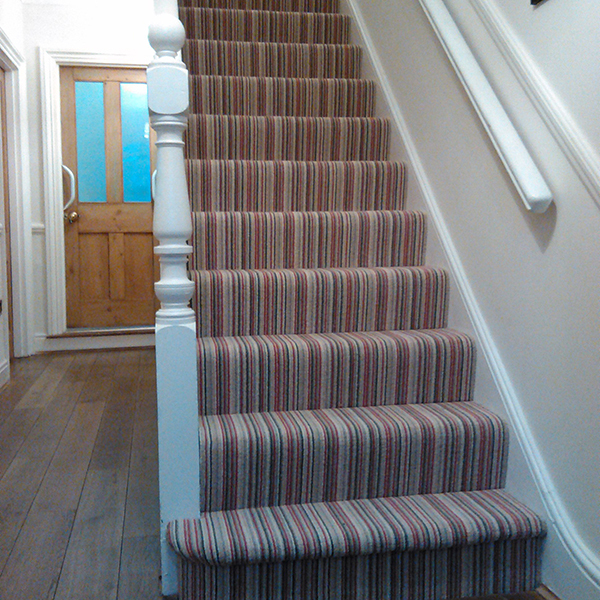 For this job our customer requested a stripe design for the stairs and landing. The sales team helped by offering a range of suitable carpets (and colours) for the task in hand. The eventual choice was our Park Lane collection as shown in the images below. 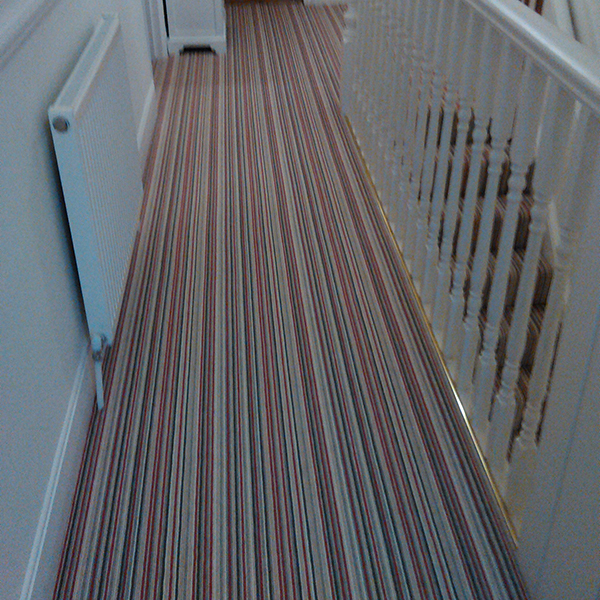 The installation was completed following specific fitting requirements as requested by the customer. The job was completed in quick time, resulting in a smart, modern finish.